180 Nutrition: There are many reasons that people decide to turn their life around and take back control of their health and fitness. Perhaps they’ve had a health scare, maybe they want to lose weight for an event or special occasion and ‘diets’ just don’t seem to work for them, or perhaps they’re quite simply sick and tired of always feeling sick and tired. Whatever the reason for starting in the first place; it’s very common for people to have a good, strong start to their new nutritional plan or exercise regime but then fall off the wagon very quickly. 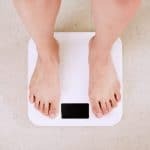 They revert to their old habits of unhealthy food, lack of exercise and a beer or five to end a busy day and before too long the kilos are creeping back on, energy and activity levels are once again both low and they’re back to where they started. What makes people make such positive changes in their life, start to see and feel a noticeable difference, but then revert to the harmful habits that are bad for them? In my years of experience, there is one common factor present in every single person who takes their health into their own hands and NEVER looks back. And that’s a positive mindset. It’s a can-do, never-give-up, I-don’t-care-how-hard-it-is-I’ll-succeed kind of attitude that will always see people make the long-lasting, sustainable and permanent changes in their life. Here are four ways I know that having a positive mental attitude is so powerful in creating change that it’ll improve your health, not just today, but long into the future. When you make changes to your health and fitness, you will be required to change habits and there are no two ways about this; it’s hard. Your body is craving the sugar, your brain is telling you it would rather rest than get up and go for a jog, and the nicotine cravings will be out of this world. When your mind is battling between what it knows it should do and what it wants to do; having a strong, positive mindset that you’re making those changes for the right reasons is the only thing that will get yourself through those early days. 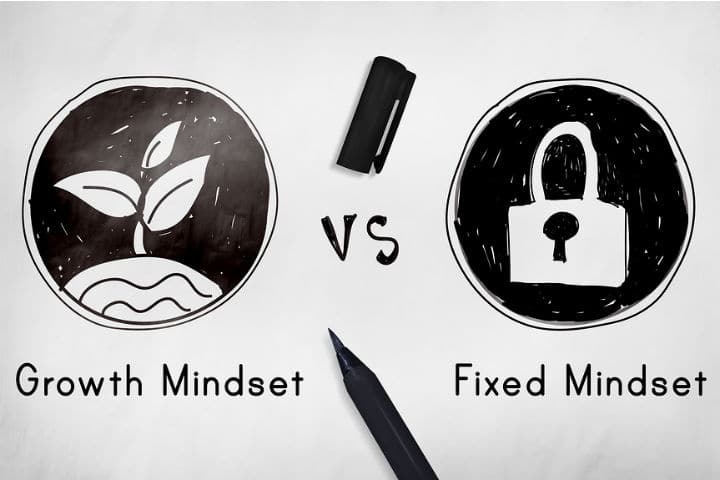 Having a negative mindset which makes you feel as though you’ve been forced to make lifestyle changes against your will, will see you much more likely to slip back into old habits than someone who is thinking positively. The reason for this is that doing what we know is just plain easier. Positivity tip: Remind yourself of the bigger picture. Yes, currently it’s hard but focus on the happy, healthy life that you deserve to be living and don’t lose sight of that until your changes become a way of life. It would take someone with unyielding willpower not to slip up every now and again. Let’s be real; you’re going to have that extra glass of wine sometimes and every so often the mid-afternoon birthday cake will get the better of you. But that doesn’t mean it’s over. A person with a positive mind will see this for the once off event that it is and move on from it straight away. If you see each little slip up as the end of the road, then that’s what it shall become. An afternoon doughnut becomes skipping the gym and beer and burgers for dinner and before you know it you’re back to exactly where you started. Positivity tip: Don’t give up when you have one slip. Have the mindset that this is a marathon not a race and don’t let one mistake undo all your hard work. Stress is a major contributing factor to poor health. Excess cortisol (the stress hormone) in the body leads to lack of sleep and high levels of inflammation – all contributors to weight gain, unhealthy cravings and lethargy. While a positive mindset won’t remove stress from your life completely, looking at and dealing with whatever’s going on in your life in a positive way will help reduce the negative impacts that stress has on your body. This will also make it easier for you to stick to a healthy nutritional and exercise program. Positivity tip: Take up meditation to reduce stress and check out some of our more in-depth tips here. When you feel grateful for what you have or what you want, you automatically focus your energy on the positive feelings associated with this. If you’re grateful because you KNOW you’re on your way to a happy, healthy, more confident existence; those feelings spur you on when it gets hard, and you become better equipped to keep going. Positivity tip: Every day, write down three things for which you’re grateful. These can be things that you have OR things that you want. Use your energy to focus on everything that you’re thankful for rather than the things that you’re bitter or angry about. There is no doubt that changing your routine and your current way of life can be difficult. Regardless of your motivator, it is, without doubt, a positive mindset which will help you make those changes permanent and thankfully, most people do have the power to create a positive mind. For a much more in-depth look at how our mind can create change, check out our recent podcast with Chris Tate here.